Pipos has placed a flash teaser of a mysterious animal behind a curtain on the top of their home page. A still is posted here. To see what is behind the curtain, go HERE. Pipos has released a group of outfits for their dolls presented in a Christmas theme. They range from more traditional to whimsical. There is also a furniture set for sale with cloth ‘vegetable’ bedding. 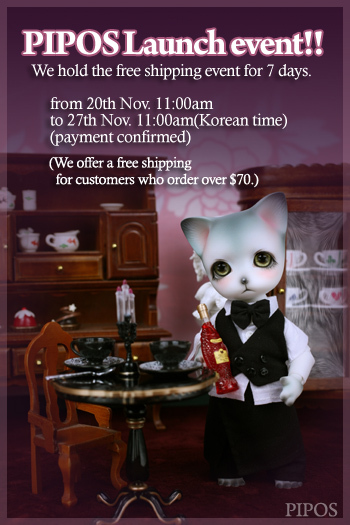 Pipos offered free shipping for one week only on the release of thei new Loly doll. The event ends soon. 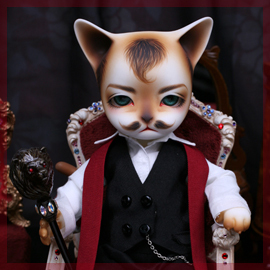 The new anthro cat doll Loly has now been added to the Pipos website. There are 2 limited versions of her, Limited Angel Loly and Limited Maid Loly. Matching Maid Loly are Limited Garcons Romi and Maestro Baha. The dolls will be available for Purchase on the 21st of November. 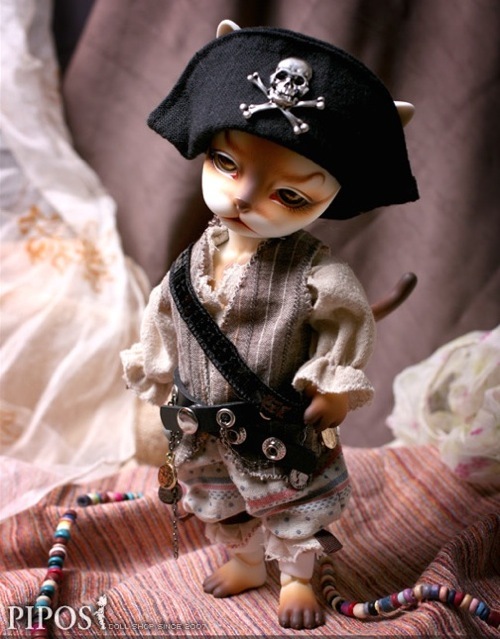 Pipos has added a new Limited Pirate Baha. Only 20 will be made. He will come with complete outfit, fully sanded and colored with face-up by Docshul. Pipos also released new versions of Mango, Ringo, and Bingo. They come with the choice of gray or purple face-up. 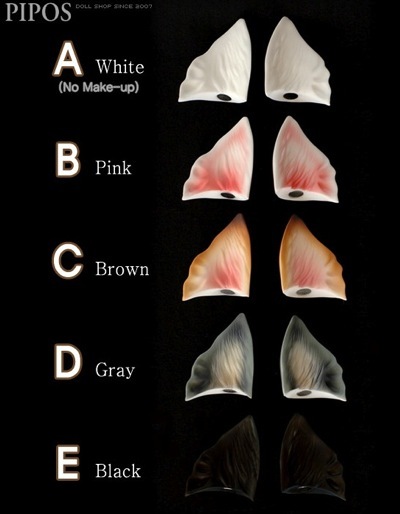 Pipos has released a line of animal ears and tails in sizes to fit a wide range of BJD and also Blythe dolls. The parts are attached by magnets. One of the tails has a joint at the base to allow it to be moved. The parts come both uncolored and colored.